If theater is my religion, The Book of Mormon is my most sacred text. 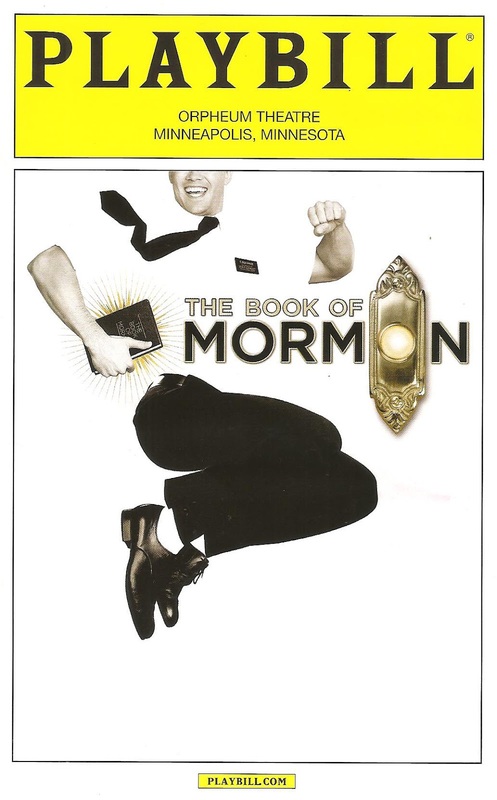 Not the actual book of course, rather the wildly irreverent musical written by the creators of South Park (Trey Parker and Matt Stone) along with EGOT winner Robert Lopez. It is a nearly perfect musical, and definitely one of most joyous musicals I've ever seen. 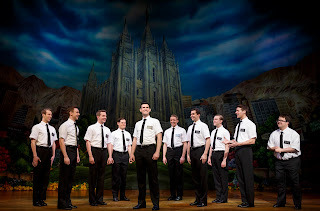 One of the brilliant things about The Book of Mormon is that it allows us to laugh at institutionalized religion (and let's face it, there are plenty of ridiculous things to laugh at) while still espousing the value of faith in oneself and one's friends and community, and "working together to make this our paradise planet!" It truly is a feel-good musical that has the hugest heart, despite its unbelievably foul mouth. 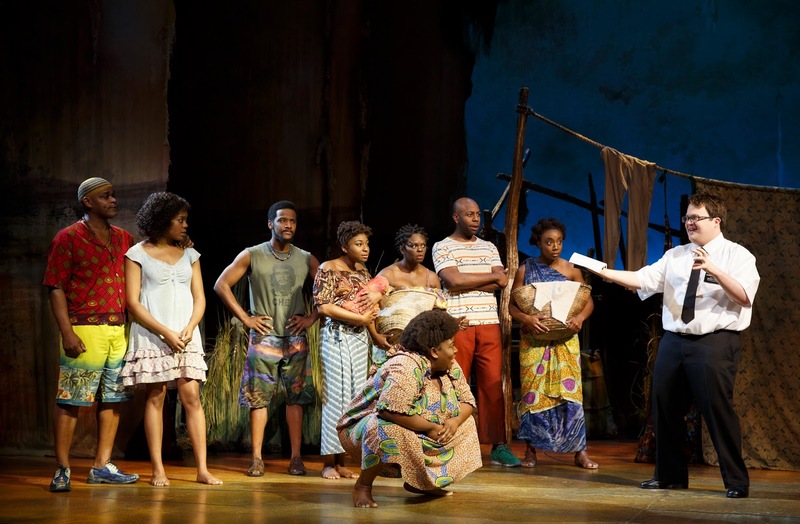 Back when it premiered in 2011, The Book of Mormon was what Hamilton is today - a smash hit musical that swept the Tonys and was an impossible ticket to get. Fortunately five years later tickets are a little easier to come by; tickets are still available for all performances in the tour's month-long stop at the Orpheum Theatre (in fact you can even get discount tickets on Goldstar!). If you're a fan of musical theater (who isn't offended by profanity and poking fun at religion), The Book of Mormon is definitely a must-see. And since it's still running on Broadway and touring the country, it likely won't be available for regional productions for many years, so this tour may be your only chance to see it for a while. Don't miss it! It's a difficult task to step into the roles of Elders Price and Cunningham, roles that launched the careers of their originators Andrew Rannells (Girls) and Josh Gad (Frozen). But Ryan Bondy and Cody Jamison Strand do so beautifully. Ryan is smooth and charming as the ambitious and self-centered Elder Price, and sings the crap out of one of the musical and emotional high points of the show, "I Believe." Cody is an endearing goofball who has a powerful voice that he can bend to his will to perform much comedic vocal trickery (e.g. "Man Up"). The two together form the perfect odd couple in what is refreshingly the central love story of this piece - a platonic friendship. Standouts in this most excellent ensemble include Daxton Bloomquist as Elder McKinley ("Turn It Off") and Candace Quarrels as the sweet and innocent Nabulungi, who falls for the story the Elders tell. The entire cast throws so much heart and energy into their multiple roles (humans as well as mythological characters) that it's pure joy to watch them do their thing. Despite the foulest language I've ever heard coming from the stage (no matter how many times I've heard it, "Hasa Diga Eebowai" is still uncomfortable to sit through! 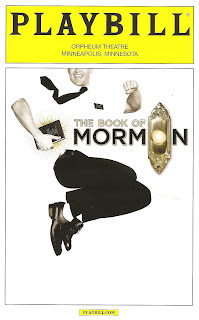 ), The Book of Mormon is actually a very traditional musical in form and structure. And a huge one at that, with all the bells and whistles of a Broadway blockbuster - fancy set with many moving pieces, crazy costumes (see "Spooky Mormon Hell Dream"), big and fantastic dance numbers (tap-dancing Mormons), a fun and endlessly singable score. This wicked satire is equal opportunity offensive, finding comedy in serious issues like religion, evangelism, racism, violence, and even AIDS. So yes, it's a huge spectacle with shock value, but my theory on why it's such a huge and lasting success is that underneath all this is a really beautiful message of hope, friendship, and community. It's nearly impossible to leave the show without raised spirits and a feeling that perhaps we can make this world a better place, for all of us, despite the horrors that face many of us daily. If religion is a set of stories, myths, and legends that we humans use to help us understand the joys, sorrows, and mysteries of the world we live in, then theater truly is my religion. And nothing fills my soul like The Book of Mormon. Ma ha nei bu, Eebowai. *Plot summary borrowed from last time I saw The Book of Mormon.